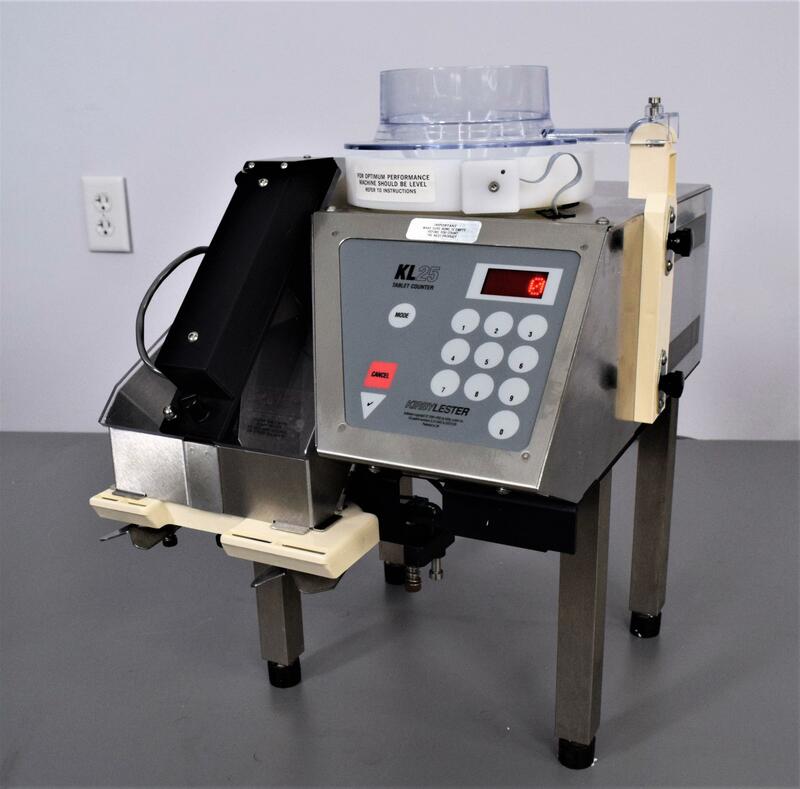 Kirby Lester KL 25 Automated Tablet Counter / Bottle Filler Pharmaceutical . New Life Scientific, Inc.
Our in-house technician did inspect this Kirby Lester KL 25; the technician was able to power it on, initialize and run multiple tests with no problems occurring; confirming this to be a noticeably clean and excellent working machine. Digital copy of manual is available upon request. 22x 14.75 x 6.25 in.